This lovely Country-style home plan with Farmhouse influences (House Plan #120-1368) has a small footprint – but over 1290 square feet of living space. 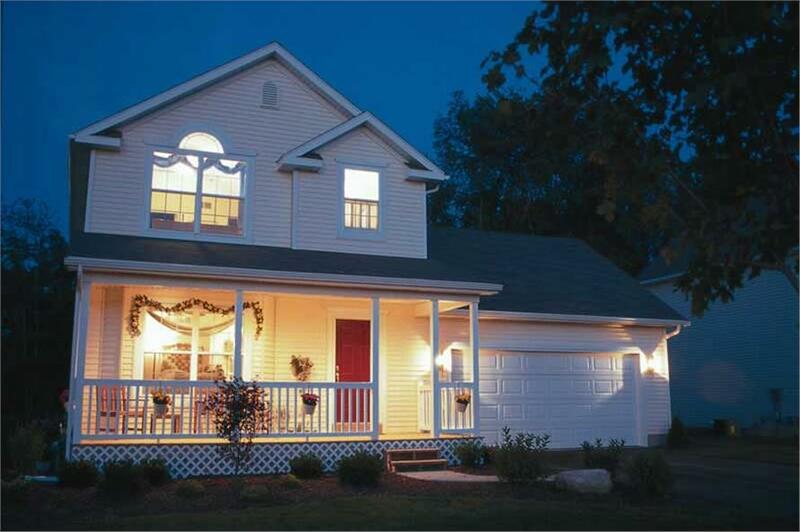 The two-story floor plan includes 3 bedrooms, 2 baths, 1 half bath, and an attached garage. 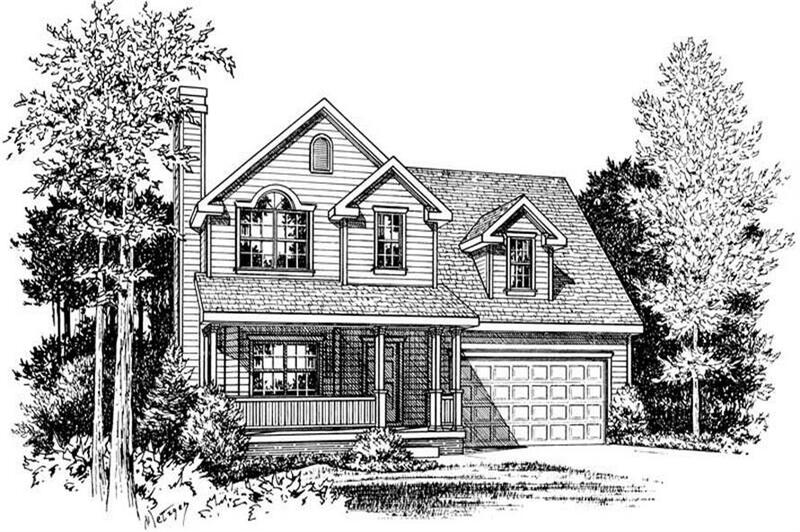 Walk into the home plan from the covered front porch into the open floor plan. The the left and right are the dining area and kitchen, respecively, with the living room directly in front, past the stairs and half bath. The house plan's three bedrooms, including the master suite, are upstairs. The laundry room is also located in the upstairs floor plan, as is an unfinished storage area with access from the hallway that leads to the luandry room. Lovely small home with big personality! Although we rearranged the first floor living space, this home is exactly what we were looking for! The screened-in porch in the back is just the right place to relax at the end of the day. The upstairs laundry closet is a terrific convenience! So happy with our choice! Please Note: All printed sets for this plan are sent to you on bond paper that reproduces well. The Construction License authorizes you or your reproduction vendor, at your direction, to make as many copies of the plan from the construction prints as you need for construction purposes.